Beautiful Remodel with open layout!! Only 10 minutes from Sloan's Lake!!! 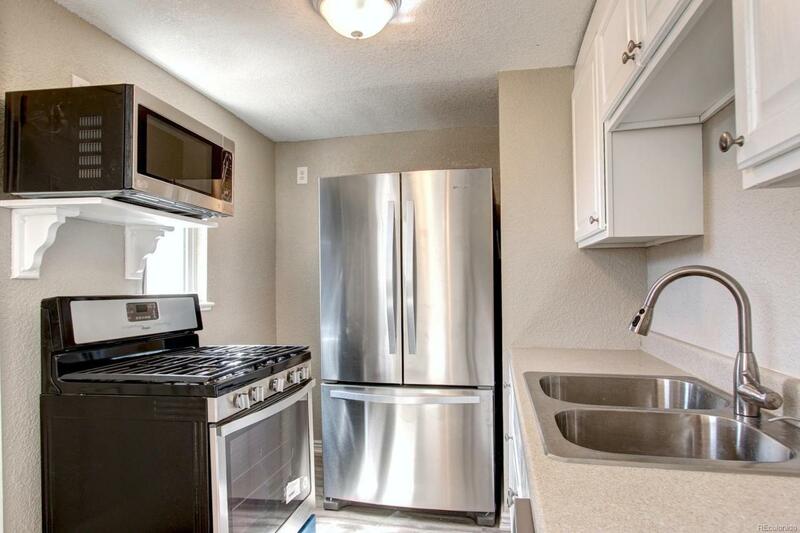 Spacious kitchen with new stainless steel appliances, gas oven, new cabinets, new laminate wood flooring through out. Remodeled bathrooms with new vanities and subway tile. New paint, new carpet, newer windows, new roof! Washer and dryer hook up in unit. Walking distance to restaurants, bike and walking trails, night life and more!! Don't miss out on owning this wonderful home!! Great for first time home buyers or investment opportunity for rental!! Offered by Exp Realty, Llc. The content relating to real estate for sale in this Web site comes in part from the Internet Data eXchange (IDX) program of METROLIST, INC., DBA RECOLORADO®. Real estate listings held by brokers other than 8z Real Estate are marked with the IDX Logo. This information is being provided for the consumers’ personal, non-commercial use and may not be used for any other purpose. All information subject to change and should be independently verified. © 2019 Information and Real Estate Services, LLC. IDX information is provided exclusively for consumers' personal, non-commercial use and may not be used for any purpose other than to identify prospective properties consumers may be interested in purchasing. Information is deemed reliable but is not guaranteed accurate by the MLS or 8z Real Estate. Data last updated: 2019-04-20T08:37:52.437.